This freaking accident has left many in shock. 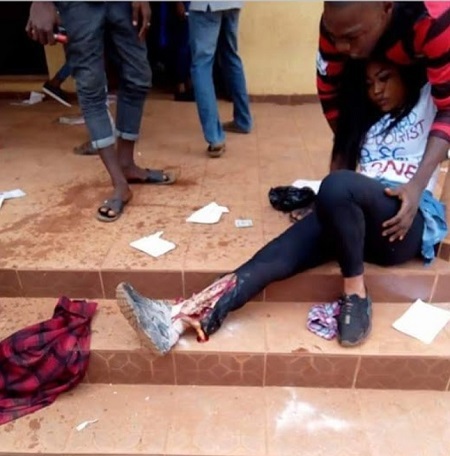 A Kogi State University graduate had her leg crushed in a fatal accident which happened in the school premises. According to reports, the female student from the Department of Sociology who has since been taken to a hospital was celebrating with her fellow colleagues after they had written their final exams when another graduating student unknowingly ran over leg. The sad accident, which happened in front of Social Science faculty block has however left her colleagues and other students of the institution in a solemn mood. May God save us from anything that will turn our joy to sorrow. Amen.